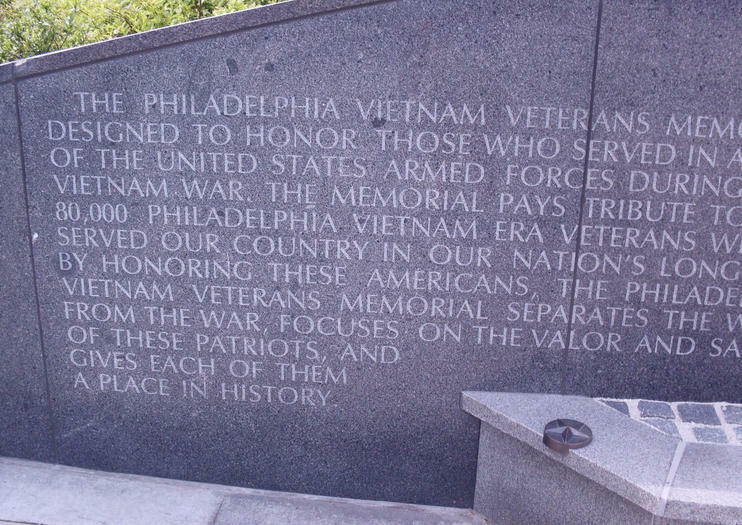 This much-loved memorial honoring Vietnam veterans from the city of Philadelphia was born in the 1980s and exists—most appropriately—above the busy Veterans Highway (I-95). Travelers to this somber and patriotic site will find the names of more than 600 soldiers from the City of Brotherly Love etched into black granite slabs. Visitors who wander along the historic waterfront will likely find themselves at this beautiful reminder of sacrifice and honor. Local guides will share details about the list of names from the monument in Washington, D.C. that exists inside one of the stones and travelers looking for a full war memorial experience can also head to the nearby Korean Veterans Memorial that’s adjacent to the Vietnam Veterans Memorial. The memorial is located on Spruce Street and Front Street, just south of the Independence Seaport Museum, near Penn’s Landing.